Now that all the specialists have weighed in. Now that all the jeremiads about global warming are proving true and there's definite proof that the polar icecaps are melting and that the process is irreversible, perhaps we will at last find Atlantis. Maybe that's the silver lining to the otherwise bleak picture and maybe our approach has to be that instead of trying to shore up our drowning civilization, we will simply let it sink and then cover it in a glass dome. If the suggestion seems far flung, look at geodesic domes in which biodiversity is able to thrive. In a controlled environment, plants and other forms of life produce the oxygen necessary to sustain life. The only difference will be that mankind will now peer into watery heavens, with the old atmosphere a lethal purgatory that’s only a holding spot for those traveling out of the earth’s orbit, like flyers on Richard Branson’s Virgin Galactic, provided the carrier is able to iron out the wrinkles in the wake of the crash of a recent test flight). 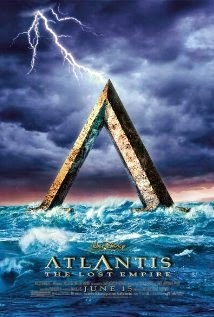 Atlantis is on the verge of changing from mythology into prophecy. Sure we can try to fight off fate with water locks or wetlands that create a buffer zone protecting particularly vulnerable coastal areas like the Broad Channel area of Queens which suffered mightily during Hurricane Sandy. But one day nothing will work and we will be on our way to becoming an underwater civilization.